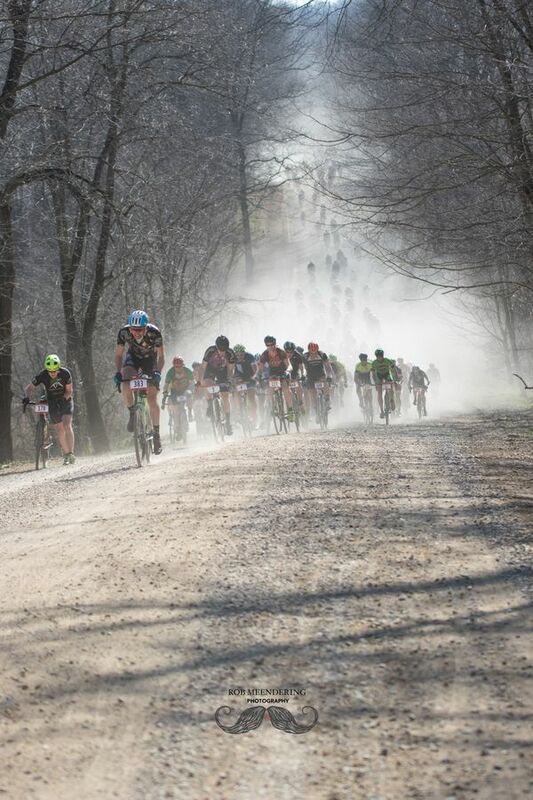 Like many gravel events, the Barry-Roubaix started with a group ride and turned into something much bigger. Based on a tip from a fellow rider, race director Rick Plite took an annual group ride that left from the Founders Brewery in Grand Rapids, MI to a state park in Barry County south of the brewery. It was love at first ride. 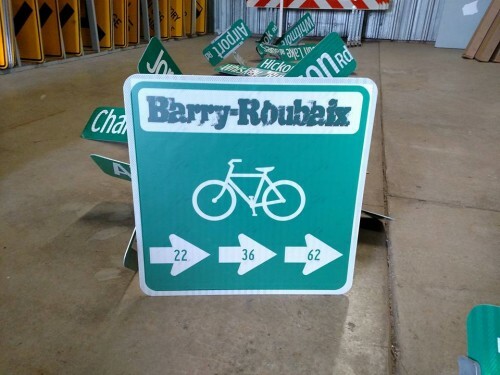 Over the years, the Barry-Roubaix has attracted top-level talent, thanks in part to the massive $12,000 prize purse for the Women’s and Men’s 62-mile races. Last year, Dirty Kanza 200 winner Mat Stephens was the top male and emerging road and cyclocross star Lily Williams won the Women’s race. Other names that have appeared on the results sheet include 2013 winner Justin Lindine (he passed a lot of dudes that day! ), Cody Kaiser, Brendan Rhim and more. This year’s event adds a few new twists. The race is typically held in mid-March, when conditions can be pretty gnarly. 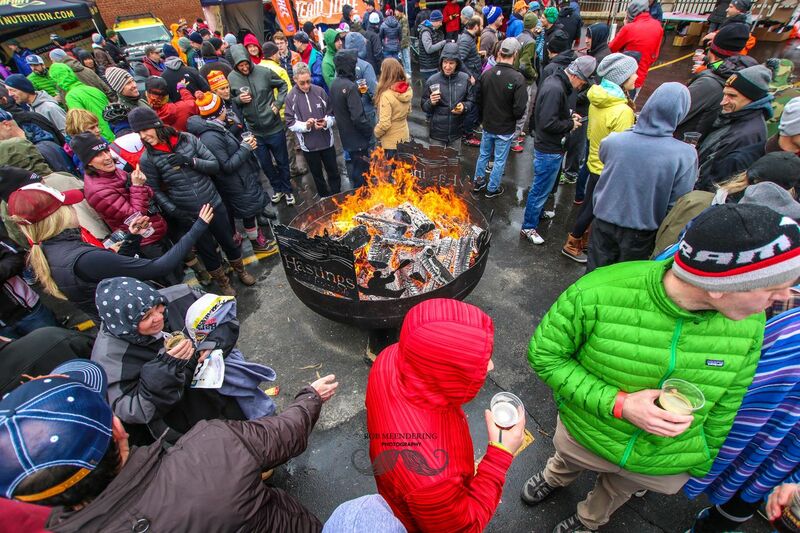 Organizers moved this year’s race to mid-April because of Easter, but that does not mean the conditions will be pristine. A healthy covering of snow has blanketed the Midwest the past week, so there is a chance at least part of the course will be messy. Although the race pays homage to the Queen of the Classics [Editor’s note: I mean, how could they not?] the roads in Barry County are more road-like than pavé. “I like to call them dirt roads,” said Plite. “There really isn’t a lot of gravel to them. The road commission keeps them in really good shape so chatter bumps are not even bad.” Overall, the 62-mile race has about 3,800 feet of climbing, so it is hilly, but not that hilly. With defending champion Mat Stephens, Mindy McCutcheon and others on the start list, sounds like it could be a fast race. Last year’s Men’s race came down to a sprint finish between Stephens, Mac Brennan and Ansel Dickey. The other thing that is new for 2018 is a new distance. “It is our 10-year anniversary and 10 times 10 = 100 sounded like a good idea,” said Plite. Organizers added a new 100-mile “Psycho Killer” distance. (For the record, the metric century is merely “Killer”). Plite said he has noticed the trend toward long endurance events and figured the Barry-Roubaix can offer a similar challenge. The 100-mile Psycho Killer has a bit more of a self-guided vibe, and the 62-mile SRAM Killer will remain the marquee race. The race has become such a fixture in the area, the shorter routes have permanent signage.